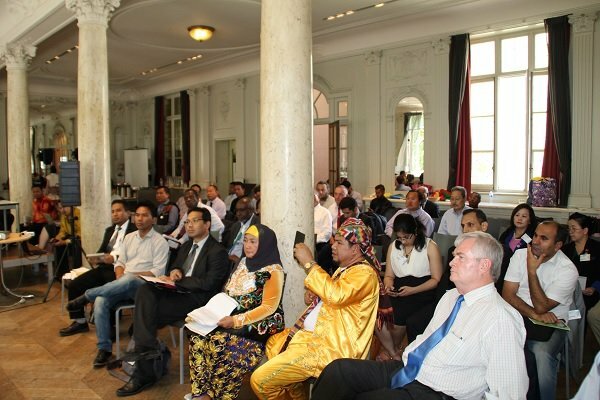 Following the opening conference of the XII Session of the UNPO General Assembly held at the European Parliament on 2 July 2015, UNPO Members gathered on 3 July 2015 at the Flemish Cultural Centre, De Markten, for a second day of debates and internal discussion on the achievements and challenges facing UNPO. Chaired and moderated by UNPO President Ngawang Choephel, the session brought together delegations representing the following members: Acheh, Afrikaner, Ahwazi, Assyria, Barotseland, Bretagne, Chittagong Hill Tracts, Crimean Tatars, East Turkestan, Haratin, Hmong, Iranian Kurdistan, Khmer Krom, Nagalim, Ogaden, Oromo, Savoy, Sindh, Somaliland, Southern Mongolia, Sulu, Talysh, Tibet, Trieste, West Balochistan and West Papua. The session started with the signature of the UNPO Covenant by Members admitted since the previous General Assembly held in November 2012. This formal ceremony included the signature of the covenant itself, an exchange of flags between the new members and the UNPO Secretariat, as well as an official picture of the representatives of each new member and UNPO General Secretary, Marino Busdachin, to celebrate the occasion. The nations and peoples whose UNPO membership was officially ratified through the ceremony were Savoy, West Papua, Barotseland, Haratin, Talysh, Sulu, Trieste, Bretagne and Acheh. This ceremonial act was followed by the adoption of the 2012/2013/2014 Financial Reports. The UNPO Treasurer, Jeroen Zandberg, explained that the organization’s financial situation was sound and stable, as concluded by an external auditor. Mr Marino Busdachin then presented the General Secretary Report, highlighting the fact that UNPO is among the top 5 human rights advocacy groups in the European Parliament. He also focused on UNPO’s activities beyond, with particular reference to those taking place in Brazil and Washington DC, as well as on the ever increasing number of partnerships that UNPO has been able to secure. Mr Busdachin ended his intervention by outlining the future challenges faced by the organization, namely the question of having a contemporary vision of human rights, democracy and self-determination. Later during the day, member specific resolutions were presented by the various delegations. On behalf of the Sulu, Ms Norilyana Binti Dzulkifli from Harum proposed raising universal awareness on the concepts of recognition, full autonomy, self- determination, security, democracy, diplomacy and peace with regards to minority communities in the Philippines. Speaking for the Oromo, Mr Shigut Geleta drew attention to the issue of land grabbing and highlighted the need for financial aid to exclusively target indigenous people in Ethiopia. Referring to the massive and collective atrocities faced by the Ogaden community, also in Ethiopia, Mr Abdirahman Mahdi presented a draft resolution shedding light on the need for a more efficient and pro-active advocacy as well as peaceful solutions to conflict. Representing the Afrikaner, Dr Pieter Groenewald underlined the continuous violence, brutal murders and abuses against farmers and other minorities in South Africa. He further called for the halt of systematic discrimination and the creation of equal education opportunities. Having travelled to Brussels all the way from the Chittagong Hill Tracts, Mr Ushatan Talukder stressed the need for good governance, as well as economic support for the highlanders in line with the 1997 CHT Accord, and urged the international community to put pressure on the Bangladeshi government to allow access to justice by the highlanders. The draft resolution of the Iranian Kurdistan Democratic Party, presented by Dr Ali Abdelzadeh, shed light on the dramatically growing numbers of executions and daily arbitrary arrests of different ethnicities in Iran since 2013 when Rouhani came to power. The resolution focused on the right of Kurdish people to self-determination, democracy and equality, and strongly condemned Tehran’s systematic human rights violations, which have disproportionately affected Iran’s Kurds. Mr Ariffadhillah from Acheh outlined the illegal occupation of their territory by the Government of Indonesia, and requested through the resolution text that the latter cease military activities of any kind. The resolution further stressed that international recognition of the Acheh struggle for justice and self-determination should be striven for. After briefly outlining the major complexities that the Crimean Tatar community has been subjected to following the illegal annexation of Crimea by Russia in 2014, Mr Ridvan Bariiev, stressed on the need for international support and access to peaceful protest for the Crimean Tatars. Ms Mai Yia Tao from the Hmong representation drew attention to the urgent matters of child starvation and lack of access to sufficient food among the Hmong community. These concerns were reflected in the draft resolution, which strongly condemned the Lao government for utilizing starvation tactics and rural development programs to shield the persistent human rights violations. The newest UNPO member (admitted during the 19th UNPO Presidency meeting on 1 July 2015), Bretagne, was represented by Mr Yann C’hunff. 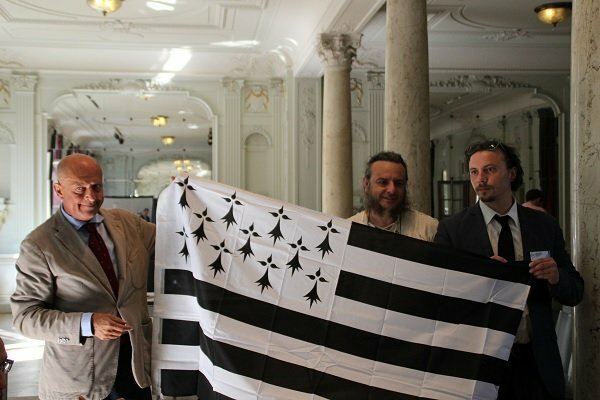 He opened his speech by briefly outlining the history of Bretagne, while condemning the French Government. ‘Non-recognition renders the denial of our existence’, he maintained. Mr Arlon Stok, the spokesperson for Trieste (Free Territory of) provided the audience with a brief presentation on the history and the current situation of the Trieste community, addressing the lack of access to information and data - a major drawback for the community in terms of defending their rights. Furthermore, it was requested that UNPO would act as a neutral observer by sending a mission to the upcoming 2016 administrative elections. The draft resolution for Assyria proposed the establishment of a safe zone as well as aid relief for stability. The repatriation of refugees, and support with regards to medical and education matters were also highlighted. Mr Ngawang Choephel then presented the resolution of Tibet, which urged for the resumption of the Sino Tibetan dialogue process so as to achieve genuine autonomy for the Tibetan people. Moreover, grave concern was noted regarding the large number of self-immolation protests against the Chinese authorities. Mr Erkin Alptekin, representative of East Turkestan and honorary President of UNPO, shed light on the systematic and abusive policies the Chinese Central Government has long been applying on the Uyghur ethnic population. He maintained that the plight of the Uyghurs needs more sincere and in-depth attention from the international community, and that UNPO is a platform to raise the voice of the voiceless. The last member to take the stage was Southern Mongolia, represented by Mr Enghebatu Togochog. He condemned the state-sponsored eradication of Mongolian traditional pastoralism and way of life and called for it to be halted, stressing that the displaced herders must be allowed to return back to their lands and the many political prisoners freed. After the member resolutions, Mr Tom Cobbaert from NISE (National Movements and Intermediary Structures in Europe) gave a detailed presentation on his organization’s cooperation with UNPO. In particular, he presented the results of an Archival Survey to which 13 UNPO members had participated. 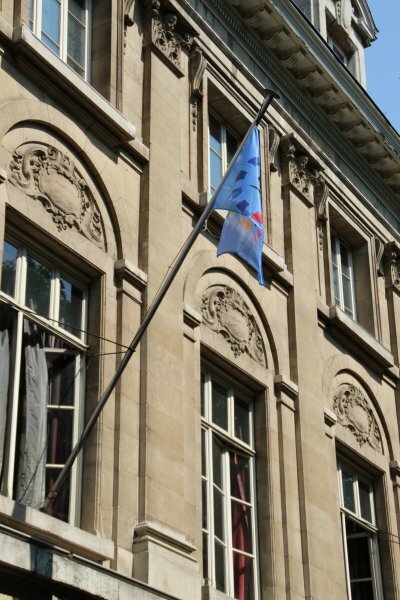 The survey revealed that there is a clear need for appropriate measures in order to safeguard the endangered archives of UNPO members. After the closure of the Friday session of the General Assembly, the opening of a photography exhibition entitled “Indigenous Peoples – Invisible Peoples” kindly sponsored by the Nando Peretti foundation, took place in the Brussels sustainable house, Mundo-B. The artist, Italian photojournalist Mr Luca Catalano Gonzaga, was present to introduce and discuss his photographs depicting the lives of some of the world’s most vulnerable and isolated indigenous peoples, including UNPO members Haratin, Batwa, Degar-Montagnards and Mapuche. The event was followed by a cocktail reception.